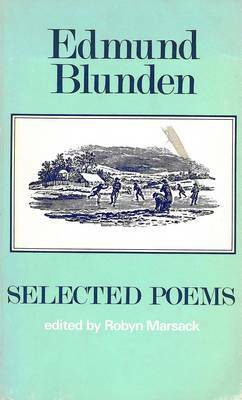 This selection, drawing on a wide range of subject matter, emphasizes Blunden's gift for precise, delicate observation and his mastery of diverse poetic form. His first poem appeared in 1914; The Shepherd in 1922 made his reputation. We can now see him as one of the best Georgians, a man deeply acquainted with that tradition of English poetry which includes Clare-of whose work he was a pioneering editor-and Hardy, and advancing it in his work. Yet the picture that emerges from this edition will unsettle a reader's expectations of the pleasantly pastoral, revealing a poet of quiet authority and haunting imagination.The compiler of this selection, Robyn Marsack, is an editor and translator living in Glasgow. She has also edited a collection of Thomas Bewick's wood-engravings for the Fyfield series.